Free Practice 1 proved to be a somewhat lost session for the MotoGP™ World Championship, conditions far less than ideal. While wets and intermediates weren’t need, the TT Circuit Assen was very cool and still damp in a few spots. 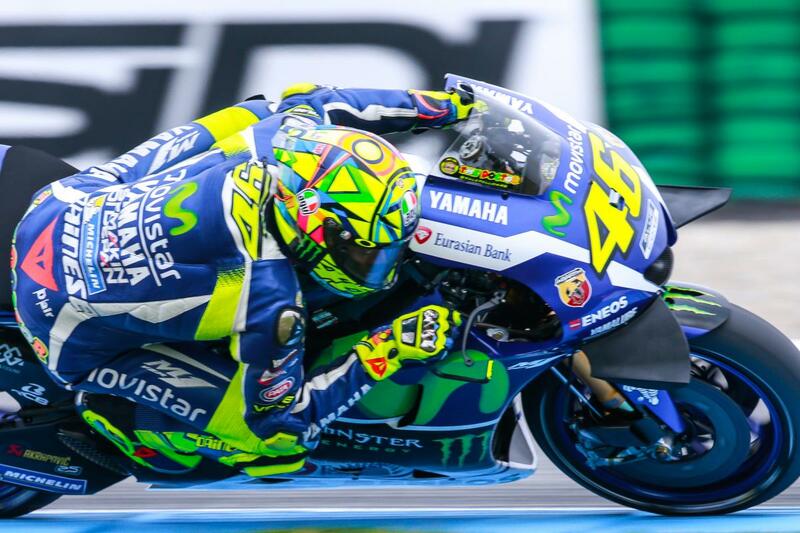 This saw times quite far off what one would normally expect of a dry session in Assen, Valentino Rossi (Movistar Yamaha MotoGP) ending the first session in seventh. ‘The Doctor’ wasn’t worried about his position and headed into Free Practice 2 to assess the two different versions of the M1 he has for Assen. During the post-race test in Barcelona Yamaha brought along a new frame, one of Rossi’s bikes using this new frame. A best time of 1’33.595 saw him end only 0.004s behind his compatriot Andrea Iannone (Ducati Team). Valentino Rossi was immediately on the pace at Assen, ending the day within a whisker of the top spot.